THE town of Coleraine has a very distinguished place in the history of football on the island of Ireland. In fact, it is said the very first game of organised football in Ireland was played in the town, with two teams of visiting Scottish sailors putting on an exhibition for locals. Despite this, senior football passed the town by as when the Irish League was formed in 1890, it was almost exclusively a Belfast league. Nonetheless, the town produced a number of fine junior sides, among them Coleraine Olympic and Coleraine Alexandra. On June 20 1927, at a meeting in the town’s Orange Hall Coleraine Olympic and Alexandra, previously great rivals, agreed to amalgamate under the banner of Coleraine Football Club and take their place in the Irish League. At that first meeting Mr J.F. Hunter was appointed as the new club’s first chairman and local man John McCandless (pictured right), a former Irish international, who had also fought in the Great War, was appointed as player-manager. The new club’s colours would be white shirts and dark shorts. McCandless’ first task as manager was to get a squad ready for the start of the 1927/28 season. 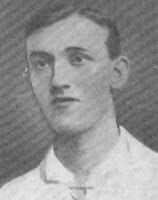 Notable early signings included former Irish international Paddy Nelis from Wigan and ‘Dot’ Doherty, from Nottingham Forest. All was set for Coleraine’s Irish League debut, which would be against Cliftonville on August 20. On the day, the new boys shocked their more established opponents by winning 4-1 to give the new club the perfect start in senior football. Billy Corscadden, Ernie McKinney, Paddy Morris, Dan O’Connell, Jim Jamieson, J Burns, James Spence, Reggie Bentley, Jimmy Kinsella, William Duffy, John McCandless. One of the most notable results in the first season came when Coleraine hosted league champions Belfast Celtic at The Showgrounds. The West Belfast side were on a run of 70 unbeaten league matches and were to go on to win the title again that season, but they came unstuck at Coleraine, losing 3-2 in a result which sent shockwaves through Irish football. At the end of that first season, Coleraine finished a respectable sixth in the league table with a record of 12 wins, three draws and 11 defeats from their 26 games. Players from the early years (left to right): Steve Mitchell, Billy McGinnigle, Tommy Kelly. Progress continued throughout the second season; this time Coleraine finished fifth and reached their first Irish Cup semi-final and the third season where they finished in third position, only ten points behind champions Linfield. The club had a number of Scottish players on their books at the time, including full backs Billy McGinnigle and Steve Mitchell and striker Jamie Gilmour, who scored 79 goals in his two seasons at Coleraine. Before the 1930/31 season, the club colours were changed to Harlequin Black and Red, but the change didn’t bring any good luck as they endured their worst season to date, finishing 12th out of 14 in the league. One notable debut during that season was Billy Douglas, who despite making his debut in goal, went on to be a great utility man for Coleraine, playing in almost every position during his playing career. A great club servant, he would remain at Coleraine until the early 1980’s. 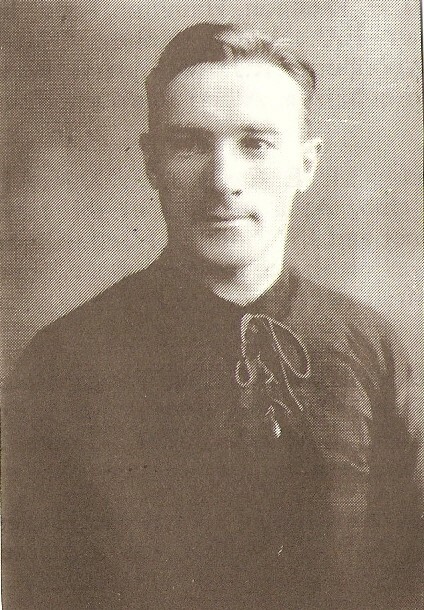 It was the 1930/31 season which saw the great Peter Doherty appear for Coleraine in a trial game, but somehow they let him slip through their fingers and by the next season he was starring for Glentoran, before going on to achieve great success in England and latterly, as the manager of the Northern Ireland team which reached the 1958 World Cup quarter finals. The following season, the club colours were changed again, this time to amber and black hoops, a style which would remain for several seasons. 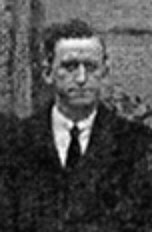 It also saw the arrival of another Scottish striker at the club, Davy Pringle formerly of Hamilton Academicals and Stoke City, who despite only playing for Coleraine for a couple of seasons, would carve out a special place in the club’s history by setting a record for the highest total of goals in a season, an astonishing 59 in the 1932/33 season, a record which still stands today. 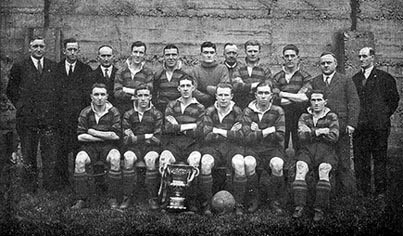 The 1931/32 season saw the club improve its league position to finish fourth, but the undoubted highlight came on December 9, when they defeated Ballymena 3-0 at Solitude to lift the Gold Cup, the club’s first ever senior trophy. The crowd for the final was estimated at 10,000, with £455 lifted in gate receipts. Another player who made his name that season was Tommy Priestly (below right). 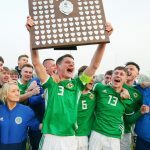 Brought up in the shadow of Windsor Park, he was rejected by Linfield as a youth player, but impressed enough in a brief spell at Coleraine to earn a call-up to the international team the following season. But by the time of his call-up, he was no longer playing for Coleraine as he had begun to train as a teacher. However, he had planned to guest in a benefit game for his former team mate Paddy Nelis but was instead selected to play for Ireland against Scotland at Windsor Park. Shortly after his international appearance, he joined Linfield and later moved on to Chelsea where he won a second cap. His career in England was brought to a premature end by injury and after a spell playing for Shelbourne in Dublin, he retired to concentrate on his teaching career. He later became headmaster of a primary school in Aghadowey. Coleraine started the 1932/33 season in great form and were joint top of the table at the end of October with Belfast Celtic and Derry City. It was in this season where Coleraine ran up their biggest ever victory, 11-1 against Portadown at The Showgrounds. The prolific Pringle scored five, as did Willie Devan, the other goal coming from a penalty from Jock Williamson. 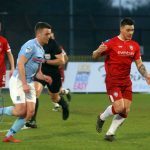 Despite such form early in the campaign, it ultimately ended in disappointment as the club slipped back in the title race, eventually finishing seventh and losing an Irish Cup semi-final to Glentoran. At the end of the season, John McCandless resigned as manager, having guided the club from their birth and brought them their first trophy. His replacement was William McStay, a former player for Glasgow Celtic whose time in charge was not a success. Pringle left to join Derry City for the princely sum of £75 in December 1933, which left Coleraine short of firepower up front, but the real problems were at the other end, with 111 goals being conceded in only 45 games contributing towards a 12th place finish in the league. During that season Coleraine signed David Byrne from Manchester United, helped in no small part by McStay’s friendship with United manager Scott Duncan. 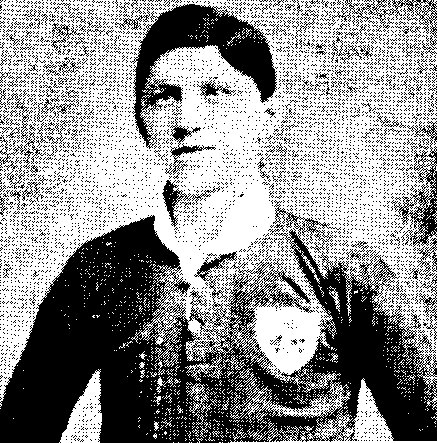 In February of 1934 Byrne would later be called up to represent the Irish Free State in a World Cup qualifier against Belgium, making him the first and so far only non-Northern Irish international in the club’s history. Also arriving in that season was Billy McCready, who would go on to become a stalwart for the club in a difficult period. The rest of the 1930’s was a story of almost constant struggle, both on and off the pitch. McStay resigned at the end of the 1933/34 season and was replaced by former Glentoran and Clyde player Johnny Scraggs as manager (right), but he was unable to bring about any revival in Coleraine’s fortunes as they again finished 12th out of 14 teams. More worrying however was the financial situation at the club. The gate for a match against Bangor in November was recorded as being £13, the lowest since the club’s formation and they were reported to be £600 in debt. Twice during the season players agreed to a wage reduction to help the club get through to the end of the campaign. At the end of the season John McCandless was reappointed manager, but the worsening financial situation continued to hang over the club. 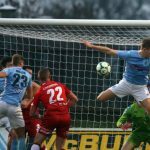 In November, serious doubts were expressed as to whether they would be able to continue until the end of the year, never mind the end of the season and a number of players left as a result. The club managed to finish the season, but it was their worst performance so far, losing in the first round of both the Irish Cup and Gold Cup and more significantly, finishing 13th in the league which meant that for the first time, they would have to seek re-election. The following season saw Coleraine finish 12th and avoid having to apply for re-election again. The squad was mainly locally based and contained a lot of amateur players which helped ease the financial burden. A profit of £400 was recorded that year. While things were looking well enough off the pitch for the Board to declare the club free of debt at the end of the 1937/38 season, on the pitch it was less promising, with another 13th place finish and having to apply for re-election alongside Cliftonville. 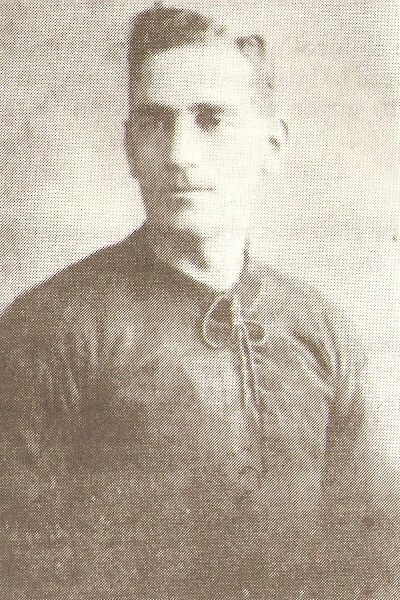 Former Welsh international Tommy Edwards, who had played locally with Linfield was appointed player/manager for the 1938/39 season, but it was another season to forget, with Coleraine finishing bottom of the league for the first time and having to seek re-election for the third time in four seasons. Edwards was replaced the following season as player/manager by Frank Green, but he only lasted until November, parting company with the club by mutual consent as he wished to return to England. The outbreak of the Second World War meant football paled into insignificance next to international events. The Irish League instructed its clubs to reduce players’ wages by 15% to help with the war effort. Ben Clarke joined Coleraine from Carlisle United as the new player/manager in December and helped steer the club to a much improved eighth in the table. He also brought Kevin Doherty, the younger brother of Peter, to the club following a stint at Burnley. 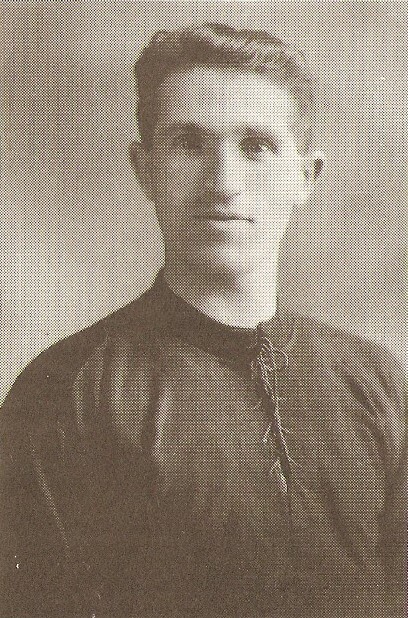 Although he would only play 10 games that season before leaving, Doherty would return after the war to play a bigger role in the club’s history. 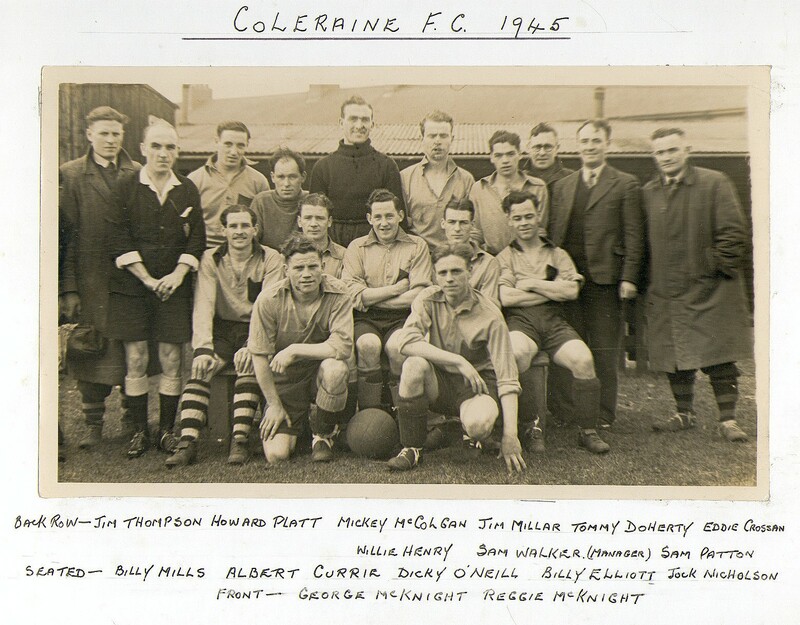 While a number of clubs dropped out of football altogether during the war years, Coleraine decided to carry on, despite not being elected to take part in the Regional League created after the suspension of national competition. Thanks to the efforts of club secretary Sammy Walker, Coleraine were able to keep going and eventually were accepted into the Intermediate League, where they played as Coleraine Reserves. Coleraine FC is a semi-professional football team based on the North Coast of Northern Ireland. They currently play in the NIFL Premiership.